The ISBS0287 from Centrotherm is a base support component kit designed to provide structural support and 90-degree transition from Innoflue 2" Single Wall (SW) to 2" Flex vent pipe (can be used for SW x SW also). Generally installed at the base of the chimney. Base support components include: metal bracket with protruding rod (for securing to masonry wall), elbow shoe (transparent plastic part which is secured to the bracket and holds the 87-degree elbow in place) and 87-degree single wall elbow. 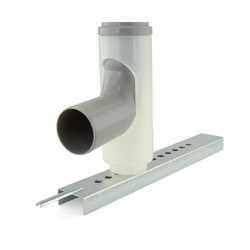 Supports up to 168ft of SW or up to 98ft of Flex pipe. 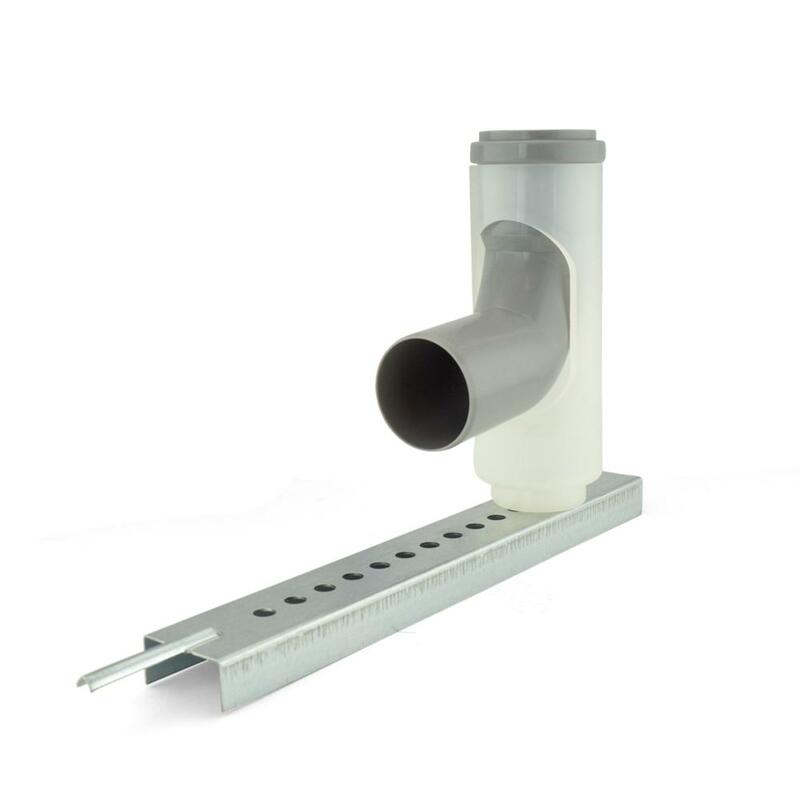 Please note that when installing this part with 2" Flex pipe in the chimney, a Flex to SW transition adapter (IFSFC02) is required and sold separately. 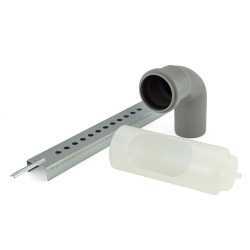 Alternatively, this component kit (w/ adapter) can be found in the IFCKC02 chimney component kit.